Please plan to attend one of these public meetings on the planned expansion of Rt. 175 near Ft. Meade. There are bike lanes and a separated trail that are part of this project and we would like to see a separated bike trail and/or cycletrack along the full length of the project. This is a critical connector to Ft. Meade, the largest employer in our county and state. General update on major State and County road projects around the Odenton/Ft. Meade area including the MD 175 corridor. Click for Rte 175 Construction Meeting Flier April 2015. Click here for a short paper on BikeAAA-Rt175Support-2015-01-13 . Monday, April 13, 2015 from 6:00 to 8:00 p.m.
Wednesday, April 15, 2015 from 1:00 p.m. to 3:00 p.m.
1425 Annapolis Rd (MD 175), Odenton, MD. 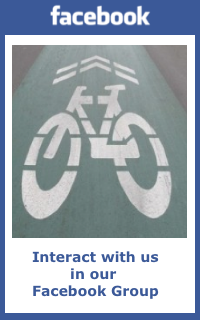 This entry was posted in Infrastructure and tagged Facebook. Bookmark the permalink.